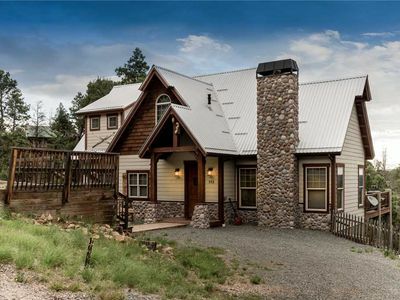 Escape to the mountains for a relaxing getaway at 'Geronimo Cabin,' a 3-bed, 2-bath vacation rental cabin that sleeps 10 in Alto! 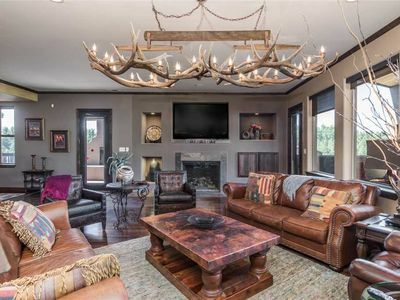 On top of the 1,800-square-foot interior, you'll enjoy an expansive private deck and fireplace for those chilly nights! 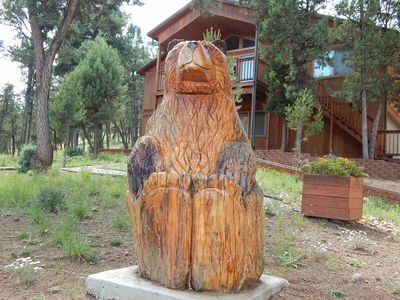 Stay at the Lazy Bear Retreat Cabin Rentals and enjoy the proximity to skiing, hiking, hunting, horse races, and lakes. 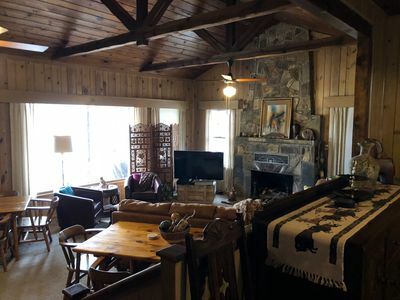 Whether you're in town to hunt, ski, or hike, you'll enjoy the authentic cabin ambiance of this mountain retreat as well as the amenities and comforts of a modern hotel! 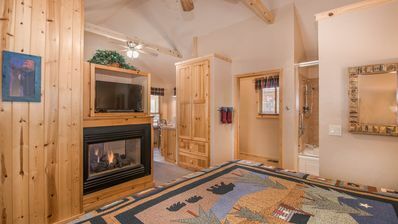 You're sure to love the southwestern decor, cozy furnishings, and natural light streaming inside of 'Geronimo Cabin.' 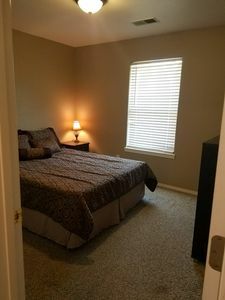 Kick your shoes off and lounge in the clean and comfortable living room while you watch a show on the flat-screen TV with Roku streaming. 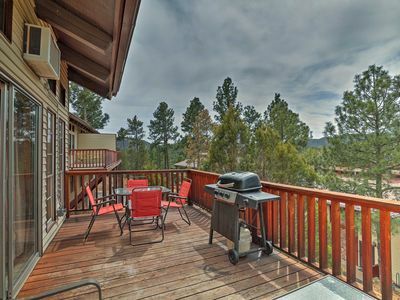 If your stomachs are growling after your long day of travels, prepare some side dishes in the fully equipped kitchen and cook burgers on the gas grill on the deck. Serve the meal buffet-style at the dining table and bring your plates back out to the furnished deck. Toast to your vacation and the upcoming adventures with a complimentary bottle of wine in the cabin! As the sun starts to fade and the chilly night emerges, get snuggled up inside by the wood-burning fireplace before you call it a night. After a night spent soundly sleeping in the master bedroom, shower in the en-suite bathroom or soak in the tub before you brew the complimentary roasted coffee beans and get caffeinated for your adventurous day to come! 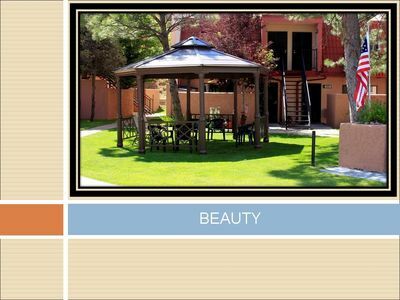 There's something for everybody when you stay at this Alto accommodation. From hiking to skiing and fishing to shopping, the area is filled with activities and attractions sure to make everyone excited! 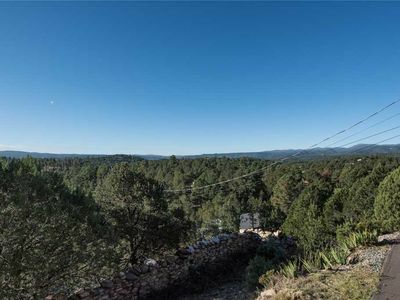 The property is centrally located near several local ranches and Lincoln National Forest, right between the Capitan Mountains (Unit 37) and Sierra Blanca (Unit 36). Don't forget to pack your gear and permits for an undeniably exciting hunting trip in the beautiful southern New Mexico mountains! Stop by Sierra Ski Rental before you head to Ski Apache just 30 minutes away for a day of scenic alpine skiing! 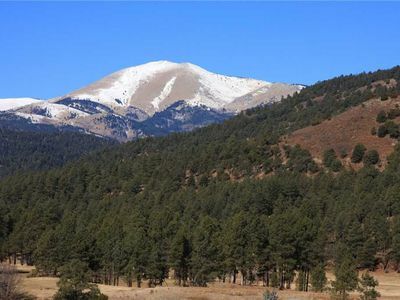 During the winter, take the kids to Ruidoso Winter Park for snow-tubing, heated igloos, and ziplining. Hike around Alto Lake while others use the kayak from the property to paddle across the glistening waters. Play a round of golf at Alto Lakes Golf and Country Club after your hike or travel north to the Smokey Bear Museum. 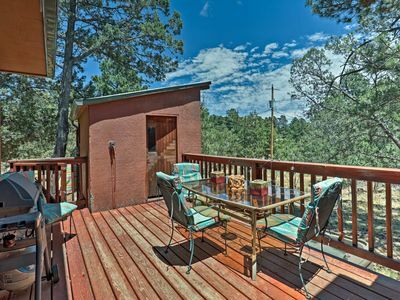 The town of Ruidoso is filled with great restaurants to refuel after adventuring. The town also boasts the Ruidoso Downs Race Track for a fun afternoon of betting on horses! 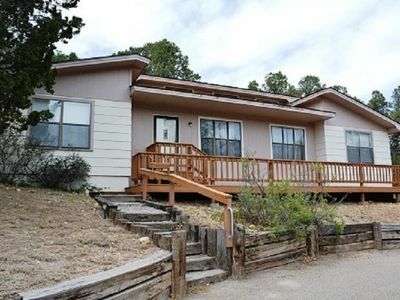 - This Alto cabin is perfect for a family that loves all things outdoors! 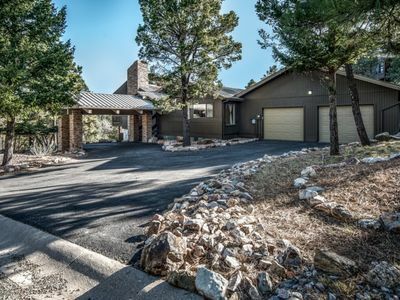 Ski Apache is only 30 minutes away, lakes and hiking are within a few miles, and horse racing in Ruidoso is close! 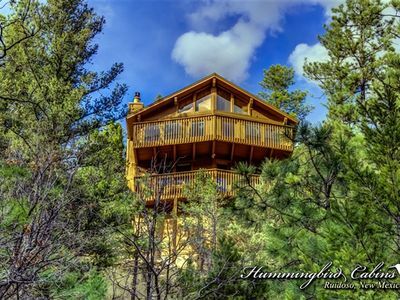 - Close proximity to prime hunting spots and Lincoln National Forest! - The Guest Contact will fill out a questionnaire and fax it to the ski shop to get the equipment ready, so there’s no waiting in lines! The ski shop also includes a car rack for the equipment at no extra charge and includes free insurance! 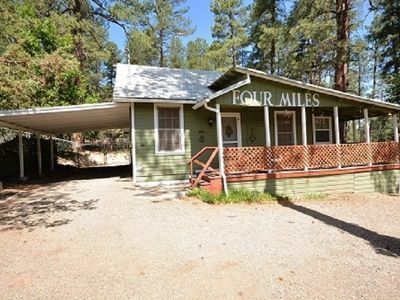 Family friendly and only 10 minutes away from Midtown in Ruidoso! 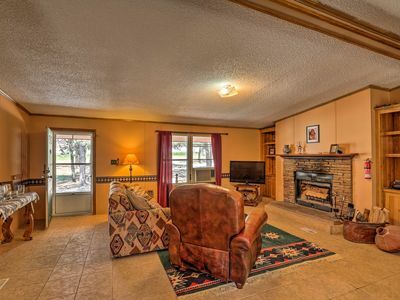 Ruidoso Home w/Porch & Grill in Innsbrook Village! 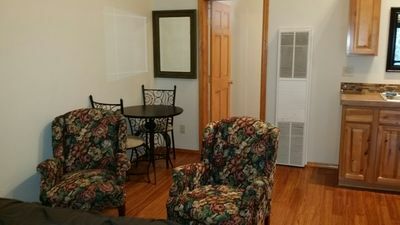 Midtown Retreat-steps from shopping, restaurants and bars! 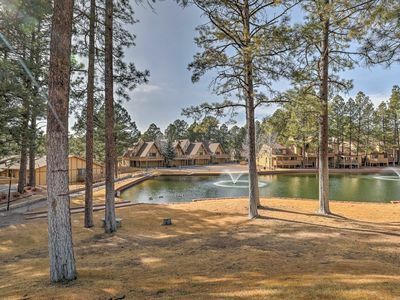 Ruidoso Condo w/ Game Room, Balcony, & Pool! 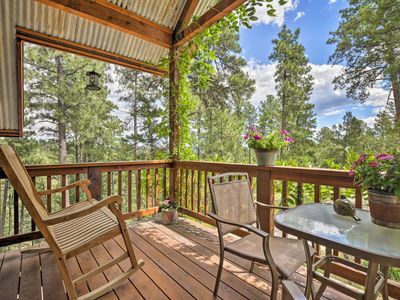 Rustic Cabin-View of Mountains - Near town and all activities! 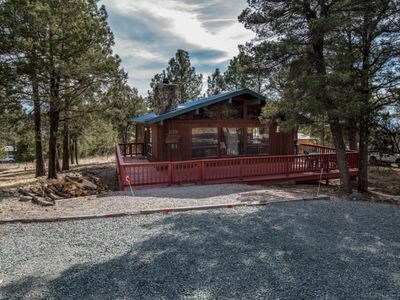 Cabin with Deck & Hot Tub - 2 Miles to Ski Apache! 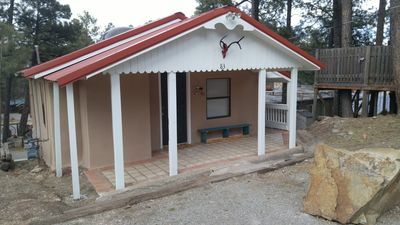 Cozy Ruidoso Cottage w/ Deck - 10 Min to Village!